A couple weeks ago my feet started itching, specifically around both my big toes and the toe next to them. It was pretty bad.Very uncomfortable. My first guess was that it was athlete's foot. I have never had that before but my brothers have, growing up, so I knew it was extremely irritating and caused intense itching. I usually try the natural route first, so I went and religiously put on some neutralizer gel with some essential oils (I used tea tree oil). It helped a LITTLE bit, for a LITTLE while. Then the pain and itching would come back with a vengeance. I live in Panama where no one wears shoes, everyone is in sandals. So while it is rainy season here, everything is exposed to air and so I didn't think athlete's foot could be so predominant. But the itching became even more intense it was already affecting my poor sleep. So I turned to a Lamasil-type of ointment, specifically for athlete's foot. I used that twice a day, and again, only for a little while did I feel any relief, then the itching would come back full force. And I cannot control myself. I scratched and scratched (and washed my hands constantly because I thought this was a fungus on my feet!). The skin was so dry and irritated, and red. Little tiny bumps that were very itchy were visible. I also did foot soaks with Miracle II soap, hydrogen peroxide and lavender essential oil. Those felt so good.... until a few hours later when the itching would come back. By this time, I posted on an essential oil group on Facebook, asking if there is any recommendation for things I haven't tried. I was all ready to go to the doctor's office the next morning. 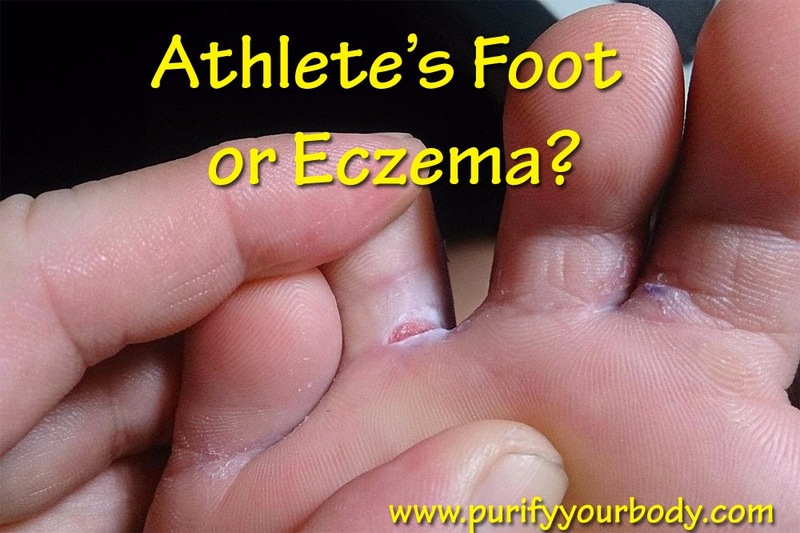 Someone posted that said it sounded a lot like eczema, as the symptoms are the same, and if I have been treated for over a week with no results, the way I have been treating the "Athlete's foot" was by pulling moisture out of my skin. It would make eczema WORSE. Eczema is a rash that has an appearance and symptoms similar to athlete's foot. Eczema can appear as small, circular areas of thick, scaly skin or as larger, less distinct lesions. Typical causes of eczema include skin irritation from overexposure to moisture (sweat) or overly-dry skin that occurs due to low humidity or excess heat exposure. One form of eczema that tends to occur on the tips or sides of the toes and fingers, known as dyshidrotic eczema, is intensely itchy and produces red, scaly areas of cracked skin with tiny blisters. Atopic dermatitis is a form of eczema that frequently occurs in infants and children. This form of eczema may be associated with a history of allergy or asthma. Atopic dermatitis often presents as areas of thickened, scaly skin with increased depth and appearance of skin lines. So, I tried putting on my tallow cream that I make. INSTANTLY I felt better. I added Frankincense essential oil that should help with inflammation, and the rest is history. The relief is so amazing, and I am very grateful. I have never experienced eczema before, but I learned that it could stem from a few things. First, it can be simply because your skin is reacting to a climate change, with a lot of dryness and heat. This is probably the easiest to treat and will respond quickly with something like the tallow cream. It also can be caused by experiencing a lot of stress in your life. This also is somewhat easy to treat (from my research) by focusing on decreasing your stress and treating the symptoms. The scary cause of eczema can be due to allergies -- either environmental or food related. I call this scary because it is most always auto-immune related and while you CAN cure it, it is very hard and takes a lot of work. I have taken a food allergy response test, and did not have any allergens that were labeled "severe". I had three allergens (out of almost 100) that were in the moderate range (not severe): corn, yeast, and shellfish. While that doesn't mean my eczema is caused by one of the other two reasons listed above, or possibly environmental allergens, it gives me hope that it is because of stress or dryness. I am experiencing a lot of stress from planning a move at the end of the month, so I can focus on stress relief while treating it with that awesome tallow cream. It has been a few days since I started using the tallow, and I have not had any intense itching sessions since. How awesome is that!? I feel very grateful to have such quick relief. I have some friends who are dealing with eczema worse than I did. Some of them have tried the tallow cream with great results, others didn't get results and are resorting to corticosteroids. Some are doing a full GAPS protocol or SCD (specific carbohydrate diet) or Paleo, to heal their immune system. I am just RELIEVED to have found a solution for myself. Garcinia has been in the news a lot in the past year or so. It is one of the latest promoted weight loss supplements, and this one seems to have merit. Dr. Oz recommends it, (he called it "the holy grail of weight loss") as do quite a few other folks online that are less well known. 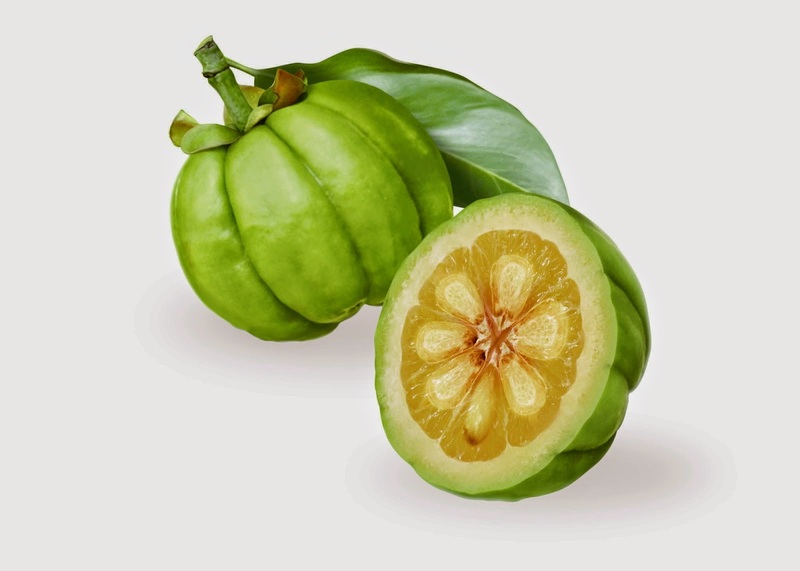 Garcinia Cambogia prevents liver processes associated with the conversion of energy into fat cells. 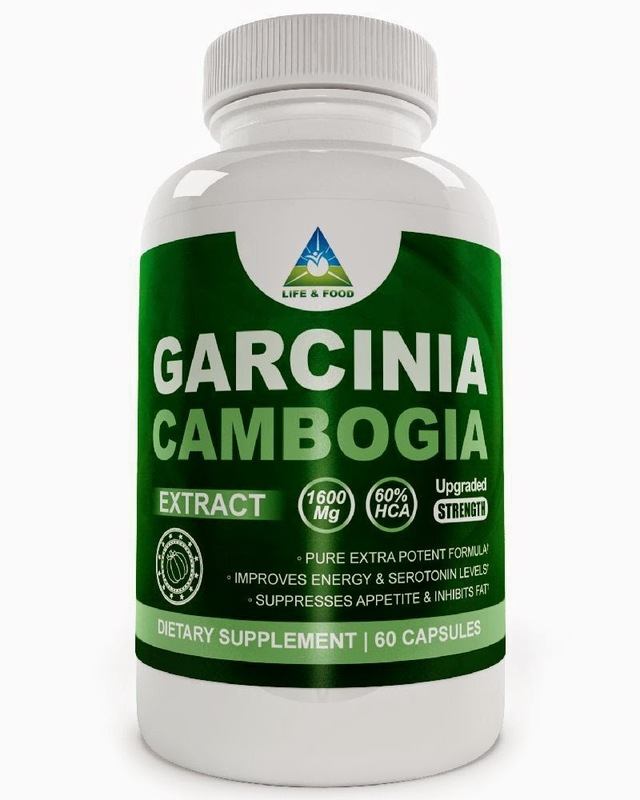 Garcinia extract doesn’t allow liver enzymes to metabolize energy and turn it into fat. Rather, it helps channel these calories to be used for developing lean muscle mass and energy to be used up by the body. It also improves seratonin levels naturally, and if you are wondering exactly the role of seratonin in your body, it is a naturally occurring chemical in the brain that is responsible, in part, for regulating brain functions such as mood, appetite, sleep, and memory. So, not only will Garcinia help you create lean muscle mass and give you more energy, it also can lift your mood, decrease your appetite, improve your sleep and your memory. It is regarded as a safe supplement with no known side effects, and this brand has been manufactured in a facility that has been certified GMP. AND they are made in the USA. I like that they are gluten free and soy free, and I really like that they are free of contaminants, fillers, binders and toxins. The best thing, though? Stimulant free. Over the years I have tried a lot of different weight loss supplements and cannot take them past the first serving because they have stimulants in them (to increase metabolism and provide a quicker weight loss). No thanks. My body cannot handle them and I get jittery, my heart palpitates and I feel like fainting. That is the main reason why I wanted to try this brand of Garcinia. We all do it: stay too long in the sun, don't put enough sunscreen on (natural sunscreen, of course!) or don't cover up appropriately when we are outside getting our vitamin D! And while the sun is not something to be afraid of -- it is a life giver, vitamin D producer, and just makes us happy -- getting a sunburn is no fun. What's the best thing to do for a sunburn? 1. First step: As soon as you realize you have a burn, get out of the sun. Cool your skin down as much as you can. A cold shower, ice, compresses, etc. The key is to get the heat out of your skin. The sooner you can start cooling your skin down, the better it will be for you. If you cannot get out of the sun right away (e.g. you are on a boat in the middle of a lake) then cover up! Take some of the ice in your cooler and rub it on your skin. 2. Get some vinegar. I have used both Bragg's apple cider vinegar and distilled white vinegar. You can either put the vinegar in a 50/50 solution with cold water and spray all over your skin, or you can just soak a paper towel or washcloth with enough vinegar so that it is dripping, and put it directly on the burned skin. Re-apply every couple hours until the heat leaves the burn (when the skin is not hot to the touch). 3. Use fresh aloe vera. Do not use the junk from the drugstore with so many additives and preservatives. It is always best to have an aloe vera plant in a pot. They are inexpensive and totally worth it. Personally I don't think the aloe vera will make the sting of the sunburn go away like the vinegar does, but I think it contributes to the healing of the skin. 4. Neutralizer gel by Miracle II. This gel is also a favorite of mine. It has the same consistency of aloe vera, but I use it with lavender essential oil for added bonus. It is a very non-toxic, powerful pH balancer and healer. 5. Lavender essential oil. This is one of the very few essential oils that you can feel comfortable putting directly on your skin (neat) without diluting it first. Lavender essential oil can be used on regular burns as well as sunburns. It promotes tissue regeneration and helps heal the burn -- and reduces possible scarring! It is by far the best oil for sunburns, regular burns and for skin regeneration. Once Your Burn Has "Cooled Down"
6. Finally the heat is pulled from the skin, but is still red and painful. Now is the time to just slather on the coconut oil. Be careful to wait until the heat has been pulled out of the burn before using coconut oil. If you put the coconut oil on the skin when there is still heat to it, the oil will trap the heat inside -- prolonging your misery. The coconut oil is going to help heal the skin, and if it isn't too bad of a burn, it will help prevent you from peeling. (or at least minimize the peeling) You will have to continue slathering it on as soon as your skin starts to absorb it. You should have a goal to always feel like your skin is greasy over the sunburn. You do not want the skin to dry out and lose moisture. 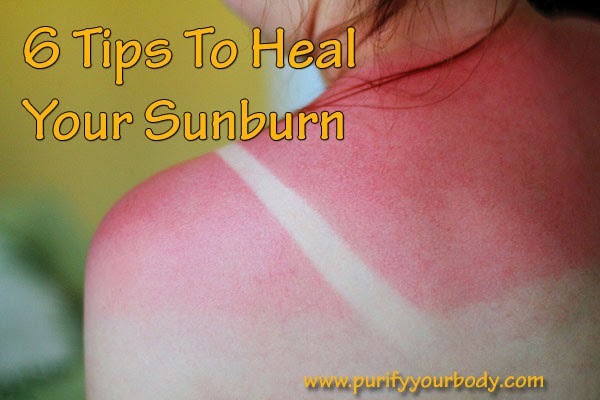 Many of these tips are not just for sunburns, but for other burns as well. You can mix them together for added benefit -- for example you can add the lavender essential oil to the aloe vera or neutralizer gel. You can also add the lavender to the coconut oil to slather on. And in the future -- remember to cover up or, if you are going to be in the sun all day long, use some natural sunscreen. Or you can make your own by Googling "homemade sunscreen" -- you will want to use non-nano-particle zinc oxide, or carrot seed oil which has a pretty high SPF on its own. I have read and studied a lot of information about Turmeric. It is everywhere on the internet now, with more and more products coming to market, and more research showing how amazing this potent spice is. Can be used as a natural dye in DIY projects like Easter egg dye, makeup, etc. I have been using Turmeric for a while now - maybe 3 years. I just switched to another brand, called Nutrivive, because they offered it to me to try and review. I have been using it since last month. I like the ingredients, especially that it has bioperine in it, which is a black pepper extract. It has no fillers or artificial ingredients, which I am very opposed to and won't take a supplement that contains any of these ingredients. I have a Pinterest board with all the information I have accumulated on the benefits of Turmeric, so please follow it! I woke up this morning, (which is a great thing, this waking up every morning).... Better than the alternative! I went to the bathroom to take my detox foot pads off. I had them on my toes last night, along with another pair on my heels. Here is a picture of the foot pads I took off my toes. You can even see the blue nail polish that was peeled off (thanks to Honeybee Gardens non-toxic nail polish -- I like that they are non-toxic and all natural but the nail polish doesn't stay on too well). And so this is one of the best places to wear the detox foot pads. I have been wearing my detox foot pads on and off for years -- over 10 years in fact. After taking the foot pads off my toes, only rarely do they have any white spots on them like they did this morning. I wear them about 2-3 times per week. And last night I wore them for 9 hours! So this is good news. Why am I so excited about white spots on my foot pads? Because I have detox issues. My body doesn't detox as well as a normal person's body does. Folks with methylation issues most always have this issue. I know this is another topic, and one that I want to write about someday, but it all started out when I learned about MTHFR gene mutations, and how those genes were discovered in the Human Genome project -- and some folks say up to 40% of the population may be affected. Which is why even if you are doing everything right in your life -- avoiding as many toxins as you can in your environment, in your home and in your food -- and you are still sick -- this may be the cause. I was tested through www.23andme.com and then learned about what my gene mutations meant at www.mthfrsupport.com using Sterling's App. So this is good that there are some "white" areas on the foot pads. I may be getting ahead of the game of detoxing. Me against the world of toxins. And I may be winning! One thing my detox foot pads don't do is kill parasites. That would be awesome if they did! Yeasts and fungi are particularly hard to rid your body of, along with any number of worms and other parasites that you may have. However, when you do a parasite cleanse or a yeast cleanse, you really want to use my foot pads to help with the die off (detox reaction). I plan on doing a month-long parasite cleanse (from humaworm.com) and then I will do their yeast cleanse and last of all, the liver cleanse. So it will take me about 2 1/2 months to complete this cleanse as I will have at least a week or two between the cleanses. Humaworm also offers a cleansing tea but I did not order that. Previously I use diatomaceous earth to do parasite cleanses, and use it once or twice a year for a two week stretch. But my real focus right now is on the yeasts. So after some research I found Humaworm's yeast cleanse and they recommended to do their parasite cleanse first. No problem. I can do it. So here goes. Day 1: I took the Humaworm as directed, and by the afternoon I had a low grade fever, mild body aches and a tiny sore throat. My fever was only 99.5 so it was mild. By evening I felt better. My skin itched a lot though. Day 2-5: I again took the Humaworm as directed.Boy was I tired. Seriously the kind of exhaustion you feel when you have taken a sleeping pill but it is mid day. I hope this is a reaction to the detox and that it will pass, because it is very hard to get everything done that needs to be done! Days 6-10: My breath stinks. I am hoping it is because of this parasite die-off (I have not "seen" any proof of parasites but I believe they are there, lol). And, I am hoping it goes away soon because my breath smells like a cross between poop and death. So I am using peppermint oil as a mouthwash much more frequently. I have NEVER had bad breath for no reason before. Sure, I have had morning breath, and I have had garlic and onion breath. But not death breath. But, thankfully I am not exhausted anymore. I can actually function during the day. Rest of the time: The rest was pretty easy. The hardest part was remembering to take the pills at the right time. I am glad my bad breath lasted only a few days. 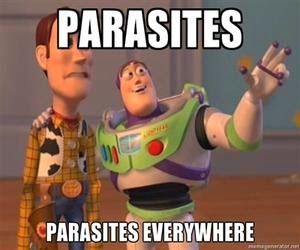 I did not see any visible signs of parasites but chances are that we all have them. So, on to the yeast cleanse! We all have heard of CoEnzymeQ10 (CoQ10) and how important it is for us -- how as we age, our body loses its ability to make enough to prevent aging, etc. I have been taking CoQ10 for many years. I used many different brands, usually focused on price. And so it was just another pill that I took in my daily supplement regiment. 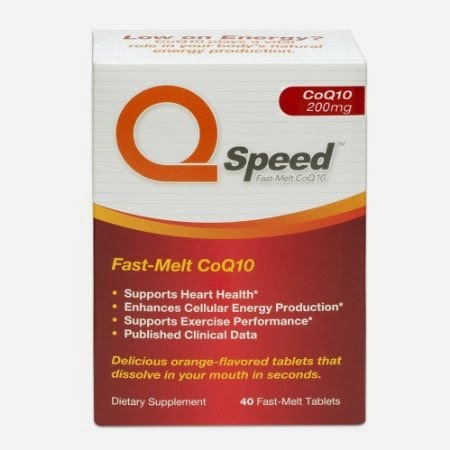 I got the opportunity to try some new fast melting tabs, by a company called QSpeed. They were given to me for free, to review, although I am not required to write a positive review. I was not given any monetary compensation, other than the free product. I am picky about the ingredients I put in my body, but these ingredients made the cut. And, they tasted absolutely delicious. I mean, I couldn't put them down. So. Easy. To. Take.I wanted to continue eating the whole package! I hate swallowing pills, so I totally recommend any type of quick dissolve fast melting tablets if they don't have artificial sweeteners and other bad stuff. These were approved by me! And they will continue to be a part of my daily routine. You can find them here on Amazon and try them out yourself. "Do the detox foot pads pull out any good stuff?" So let me tell you -- NO. They only pull out the toxins that your body is already trying to get rid of. Let's say that your family fills three trash bags full of garbage each week, but the garbage man comes and only picks up two bags. That is all the capacity he has in his garbage truck. So what happens? Week after week, month after month, the garbage man comes and still picks up two bags of garbage, but that additional bag each week just continues to add up, creating a horrible, stinky pile. That is what is happening in most of our bodies. The amount of toxic garbage we expose it to is more than we are able to get rid of on our own. And week after week, that junk just keeps piling up until we are chronically sick and we have no clue how that could have happened to us. But, don't worry. 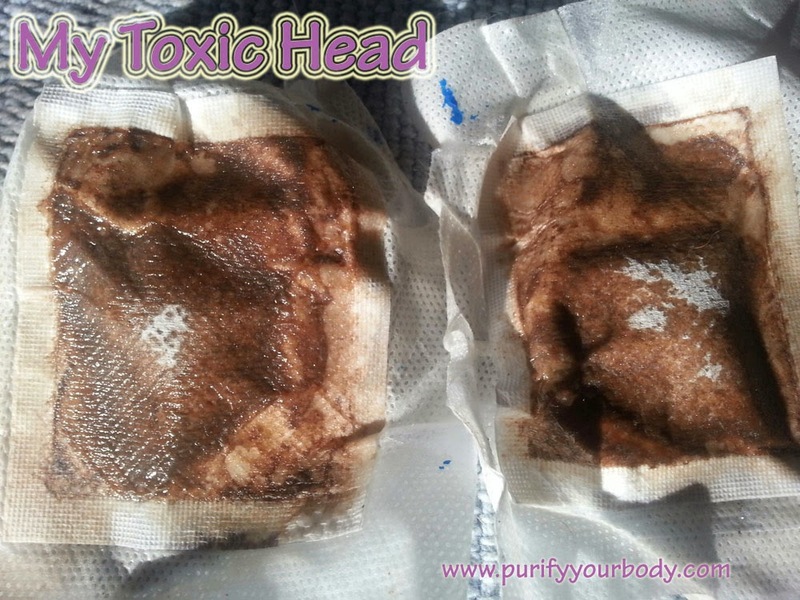 Purify Your Body's detox foot pads can help. When you use them for detoxing, they only pull from that "garbage pile" -- they won't take anything your body needs and is using. They won't detox nutrients, minerals, electrolytes, etc. When you take your medications, once your body uses up what it needs, the drug residue gets thrown into that garbage pile, and the foot pads will remove it, but they won't affect your medication. You can rest assured the detox foot pads will give you the best detox! No fillers, free shipping within the U.S., and great customer service. Oh, and don't forget our money back guarantee!